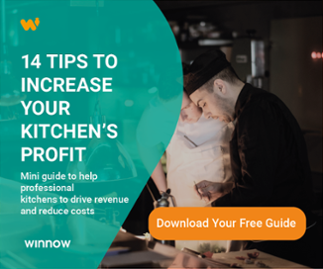 Winnow was launched four years ago with a simple belief that food is too valuable to waste, and that in the hospitality sector food waste could be reduced by introducing digital tools to measure and manage waste. 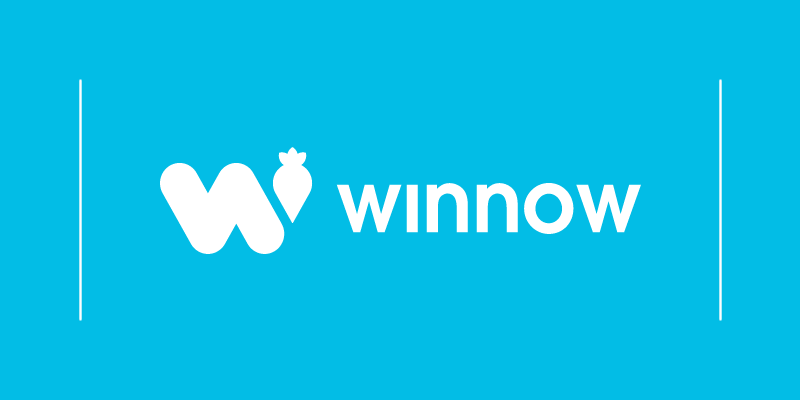 Four years on and with operations in nearly 30 countries, we are proud to introduce the new face of Winnow. At the same time we are excited to launch our #ForTheLoveOfFood campaign which celebrates this most precious resource, and the incredible chefs we feel privileged to work with on a daily basis making a material impact on the problem of food waste. I’ve worked with food my entire life, and this important life lesson has stayed with me for my entire career. Alongside a belief that entrepreneurs can be a force for change, it’s the reason that I decided to launch Winnow with my co-founder Kevin Duffy in 2013. Our first version of Winnow, launchedin a staff restaurant in London was basic, but it worked. It worked because we were fortunate enough to find a team of brilliant chefs who were open to new ideas. Chefs who gave us valuable feedback on what our system needed to do to be helpful for them. Chefs who like us believed that food was too valuable to waste. The results were encouraging. We found that empowering chefs with tools to help their teams understand where food waste occurred, and crucially where to focus to make the maximum reductions led to waste being halved. Fast forward to 2017 and what began as a journey has become a movement. Working with thousands of chefs from every corner of the globe, teams using Winnow are consistently proving that food waste can be dramatically reduced if chefs are given the right tools. Together, we are preventing one meal from being wasted every three seconds, an incredible achievement. None of this would be possible without the backing and support of the chefs who use Winnow every day. The credit rightly rests with all of them and their teams and we see ourselves simply as facilitators, providing a tool to save time and help make better decisions. We are happiest when chefs tell us that Winnow helps make their lives easier, saving them money, time and helping them get back to what they do best - creating stunning food. In essence this is what the #ForTheLoveOfFood campaign is all about - celebrating the craft, the skill and the energy required to create. And that in doing so, as a movement, we inspire others to see that it is too valuable to waste and take action. There is a global ambition to halve per capita food waste by 2030 and at the global level we are starting to see the industry moving. Since Winnow launched, market leaders and Winnow users like Compass Group (the world’s largest foodservice business), AccorHotels (Europe’s largest hotel chain) and IKEA (one of the world’s most visited restaurants) have all made public, ambitious commitments to reduce food waste. We are confident that others will follow suit as the world wakes up to the opportunities tackling food waste present. The impact of this will be global and far reaching. If we are serious about creating a more sustainable future, addressing the problem of food waste is essential and the hospitality sector has an important role to play in meeting this challenge. Chefs play a crucial role in the food system - they are the conduit between producers and consumers. To all of our partners, and in particular our chefs who use Winnow every day, we would like to take the opportunity to thank you. It is your creativity, skill and passion which is creating a more sustainable, more efficient hospitality sector for us all. As part of our #ForTheLoveOfFood campaign we will be sharing their stories and celebrating their successes. You can see our campaign film here, or read more about the impact Winnow chefs are having here. Our new brand represents more than just a logo - it is a statement of intent. We exist to connect the kitchen, to help create a movement of chefs, and to inspire others to see that food is too valuable to waste. If that resonates with you, and you or your organisation would like to join this movement, then me and my team would love to hear from you.